Learn about Senior debt, mezz debt, pref. equity & much more..
Capital stack secret: A well balanced capital stack is able to provide solid risk adjusted returns on your project. Ensure that senior first mortgage loan has low rate, amortization is long, recourse is optimized and loan amount is maximized. Did you know that 1) There are over 120 sources of debt capital ranging from banks, lifeco's, pension funds, credit unions, trust co's and foreign lenders, 2) Many developers and owners only need 8% of the total equity capital. Which can then be further split into 6% from and 2% from the Sponsor.  Using actionable wealth and lifestyle insights, R2 fuels highly-targeted marketing campaigns that continuously deliver measured outcomes. Our advanced technology and soon to be AI based platform is powered by more than a numerous data points and uses proprietary learning science to create unique customer Profiles for 100,000+ connoisuers of commercial property. Our team has decades of experience in CRE capital raise and we have collectively financed over $10 billion of capital for our clients. Through our past experience working at BMO, RBC, CIBC & JLL, relationships and strategic partnerships, we have access to a very wide variety of retail, institutional and foreign capital. We offer tremendous scale to our sponsor clients in terms of distribution of their product and targetting the right audience by using our online tech based platform. R2 is designed to connect you with target customer base in the simplest way possible. We take the legwork out of finding, vetting and securing real estate savvy customers. We ensure our clients engage in highly personalized and precise conversations with their audiences to find their next best prospect and drive growth. By elevating campaigns to the power of R2, our clients expand their audiences, decrease acquisition costs and increase revenue, along with the lifetime value of their customers. Through our network, we provide you with a full range of Advisory services that are required on a typical capital raise: Appraisals, environmental reports, building condition reports, legal work, financial statement analysis, title insurance, and payment processing. We ensure that you can get this all completed by recognized industry practitioners in a cost and time effective manner.